If there was ever a band yet to play Roadburn that embodies the spirit of the festival so wholeheartedly, surely it’s Bossk? And if ever Bossk’s ethos could be summed up in one release, surely it’s on their 2016 album Audio Noir? So, it makes sense that if we’re inviting these experimental riff maestros to Tilburg we should really have them playing Audio Noir in full. So, that’s exactly what we’re doing for 2019. Often described as ‘post-metal’, Bossk push the boundaries of that genre, blurring the lines with a deft inventiveness. At times hypnotic and beautiful, at times abrasive and crushing – Audio Noir is quite the journey. Picture the scene: It’s the Sunday of Roadburn, your feet are throbbing, your head is weary but your heart is full. You’re thinking of checking out and heading home, Roadburned for another year. 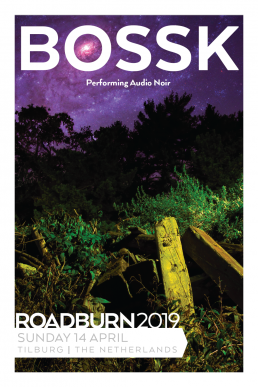 Think again, as Bossk will cure what ails you and send you on one more trip ‘round planet Roadburn.